MEET YOUR FOOTBALL HEAD COACHES! My name is Mike Homsy and this upcoming season will be my seventh year coaching in Nashua PAL. I spent my first four years coaching on my oldest son’s team up until the sixth grade and for the last two season I was the Defensive Coordinator on the 8U & 9U teams with my middle son. This year will be my first year as a Head Coach and I am excited for the opportunity to not only teaches your children the game of football but also the lifelong lessons that they will learn from this staff by being a member of this football team. I look forward to a fun filled, great season ahead. See you on the field! Momodou, "Coach Mo" Sisay Jr. is a Nashua Youth Football Alum, playing for the Nashua Elks Crusaders in the early 90's. Since that time, Coach Mo has played and coached in the high school, collegiate and semi professional ranks. Coach Mo hopes to bring great enthusiasm to 9u, while emphasizing safety, team building and leadership development with the participants. Coach Mo has 3 sons that play for PAL Force and is a third year supporter of the league. 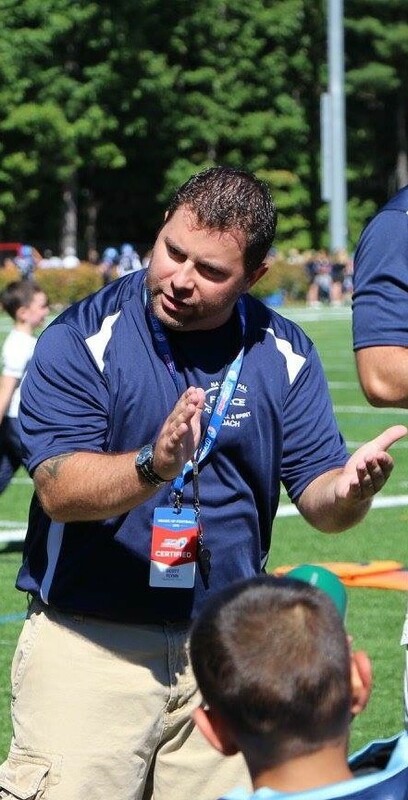 Coach Scott Flynn grew up playing football in both Chelmsford Pop Warner and played his high school years for the Tyngsborough Tigers. Football being one of his favorite sports he decided to join the Nashua Pal Force family four years ago. For many of his players it will be a welcome back and for others it will be a welcome aboard, either way Coach Flynn considers these players and parents a TEAM, always! Coach Flynn believes in building character both on and off the field, which includes coaching with professionalism, integrity, compassion and commitment. Each player is an individual with unique qualities and abilities which Coach Flynn works diligently to bring to the forefront so they learn to believe in themselves as well rely on each other. He leads these student athletes with passion and works just as hard as they do to ensure they grow to be strong community members as well as strong students, leaders, and role models. 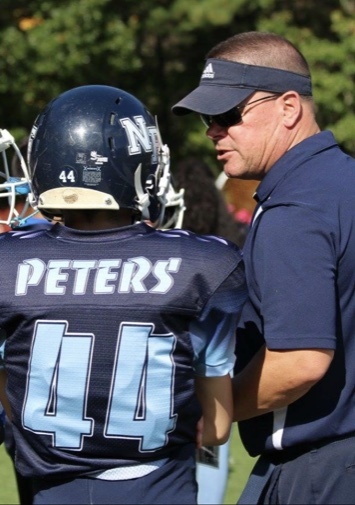 Coach Chris Peters grew up in Beverly, Massachusetts where he played a multitude of youth sports including baseball and football. He began his football career at the ripe age of 8 and continued playing through his post-graduate year at the Gunnery School in Washington, CT. He went on to play baseball in college at Miami-Dade Junior College, in Miami, FLA. and then on to Eastern Connecticut State University, in Willimantic, CT. Since moving to Nashua, NH in March of 2003, he has been very involved in the community. Chris and his Wife Christina welcomed their first son, Jack, in January of 2005 and their second Son, Luke, in December of 2006. By the Spring of 2009 both boys would find themselves on the baseball field where Chris would coach them for the next few years. In the Fall of 2011, the boys started their football journey with the Nashua PAL Force. In 2012, Chris would join the staff of the 3rd grade tackle team and has continued on with that team to present day. Chris was the Head Coach for the 12U team in 2017 where he brought the team within one game of the Regional Tournament. He is back this year to help guide the 13U team through the final year of their Nashua PAL Force careers. Chris's approach to coaching is simple, "Let's have fun, learn the game, be safe and win along the way". He stresses the intellectual part of the game as much as he does the physical side. He has been with this team for the past 7 seasons and has enjoyed tremendous success both on and off the field. Players learn teamwork, respect and what it is to become a contributing member of the Nashua community outside of the football field. He stresses academics as much as he does football and expects his players to live up to expectations within the classroom as well. 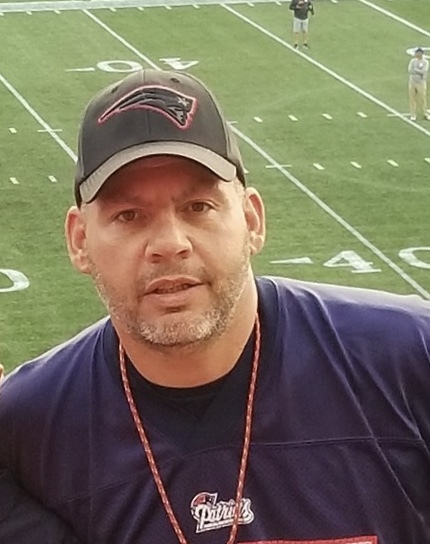 He's excited to get started this year and expects the same hard work and determination that have become synonymous with the Nashua PAL Force 13U Football Team. He welcomes any and all eligible athletes to come down and get a sample of what it's like to be part of a successful football family.